With each mist, instantly refresh your skin with this gentle, non-drying Green Tea Toner. The alcohol free formula will soothe and boost the appearance of skin by relieving redness, de-clogging pores, maintaining elasticity and diminishing the appearance of under eye circles. 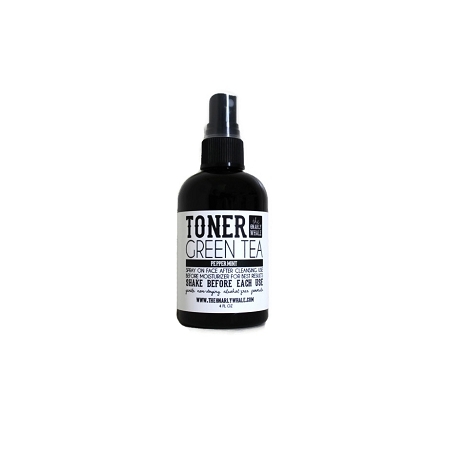 Containing powerful antioxidants, our green tea based toner can provide a clearer, brighter complexion, ideal for oily, acne prone skin. This low impact toner is enhanced by grapefruit extract’s anti-aging benefits while orange peel powder balances pH levels. 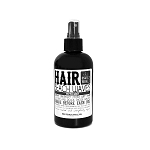 Add the calming, anti-inflammatory properties of chamomile and this toner is perfect for those with sensitive skin. Only essential oils (not fragrance oils) are used for the toners to create a more natural product. Spray on your face after cleansing it. Use before a moisturizer and/or make-up for the best results. Tip: Leave in the fridge during warm months or for a refreshing mist after a hard workout! 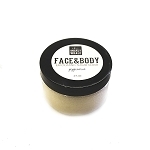 Water, green tea leaf powder, orange peel powder, chamomile flowers, grapefruit seed extract and essential oils. Description: A strong, minty fresh aroma.